A number of residents of Triq il-Pedidalwett in Swieqi were left fuming after a cement truck passing through the road splashed three cars and the facade of a maisonette. A witness said that the driver stopped and had to borrow a phone to be able to contact his workplace, whose name was emblazoned on the side of the truck - but drove off as soon as he had made the call. 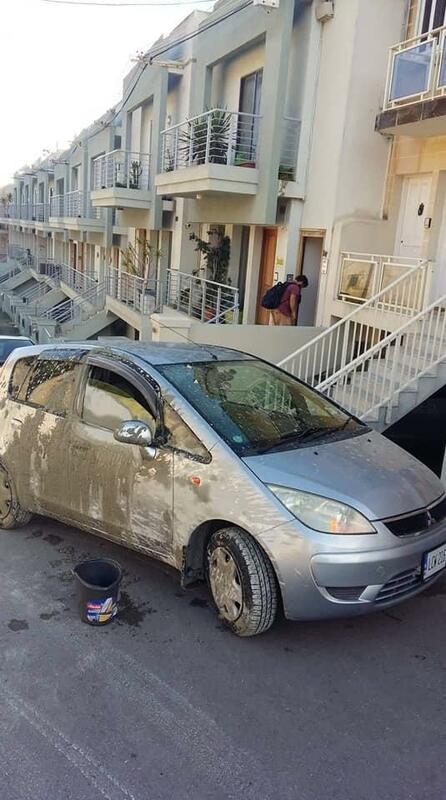 The photos, posted onto facebook group Swieqi Residents, show the road covered in wet cement, and car owners desperately trying to wash it off before it hardens. However, the paint on one car flaked off by the time the cement was taken off. The police were notified but had not yet reached the site at the time the photos were posted. The telephone number contacted by the driver and a description of the truck was given to the police. 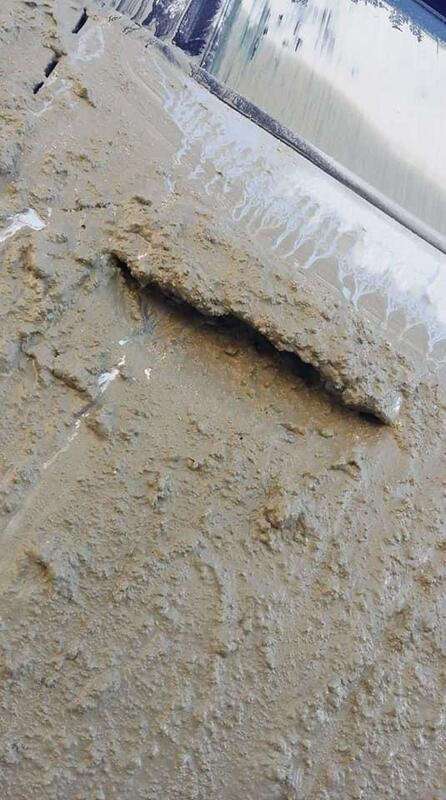 The resident who posted the photos warned that the slippery cement was a hazard for drivers, particularly motorcycles. The whole mess was exacerbated by other vehicles driving through it and splashing other cars along the road.